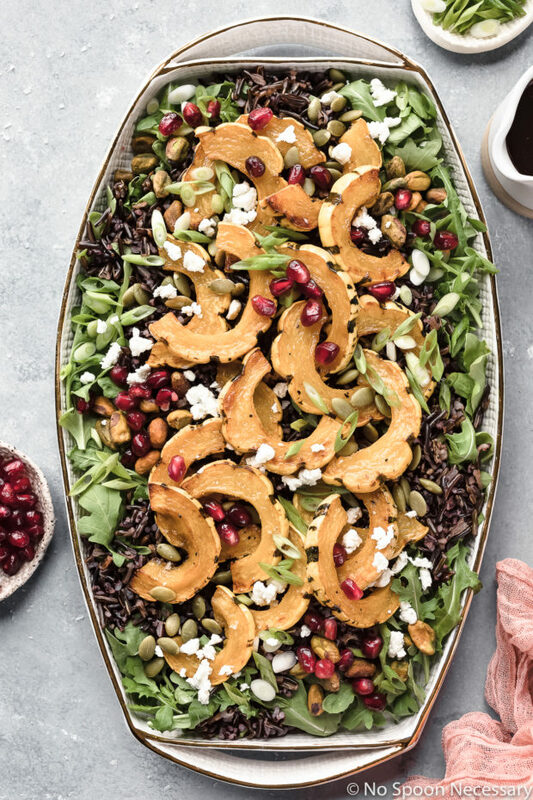 This gorgeous Delicata Squash Wild Rice Salad with pomegranate arils, goat cheese, pistachios and a honey balsamic vinaigrette is filled with delicious textures and flavors! 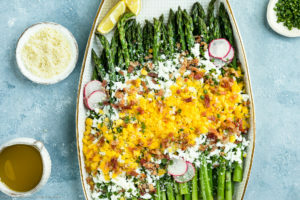 Fantastic served at warm or at room temperature, this salad is perfect for the holidays or special occasions! Can you believe (American) Thanksgiving is only 3 weeks away?! With turkey day quickly approaching, it has me curious – do you stick to a super traditional menu and serve the same tried and true dishes year after year, or are you someone who likes to take chances and shake things up a bit each year? While I do serve the same type of dish year after year (stuffing, brussels sprouts, mashed potatoes), the way they are prepared will always vary. After all, variety is the spice of life! Whether you are a diehard traditionalist or wild child who loves to take chances, today’s salad definitely belongs on your holiday table! 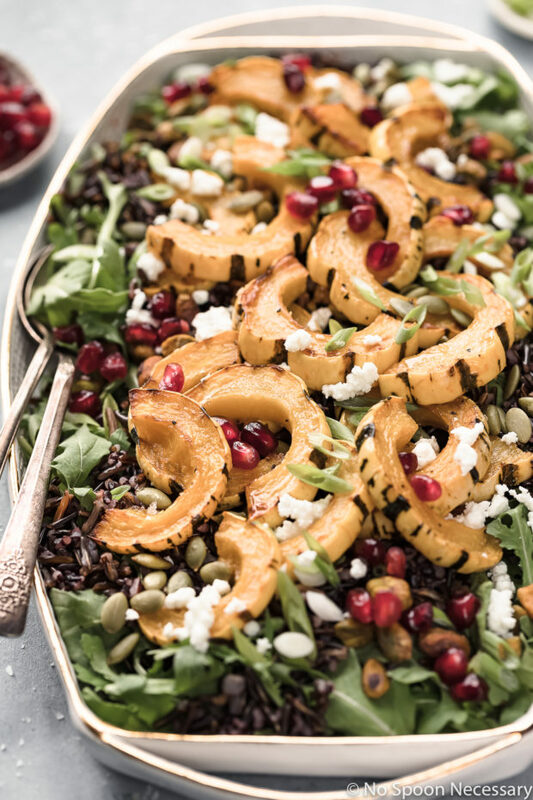 Leafy, peppery arugula tossed with nutty, tender rice and slight sweet roasted delicata squash; then garnished with juicy pomegranate arils, salty pistachios, crunchy pumpkin seeds, decadent goat cheese crumbles and fresh scallions. 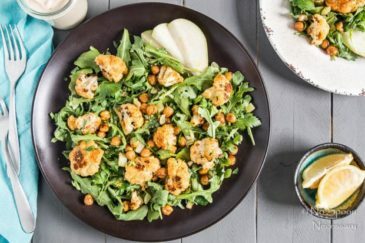 Finished with a generous drizzle (or glug) of silky, luscious, slightly sweet honey balsamic vinaigrette, this salad is packed with tons of different textures and harmonious flavors! It’s healthy, hearty and easy on the eyes (and even easier on the taste buds)! 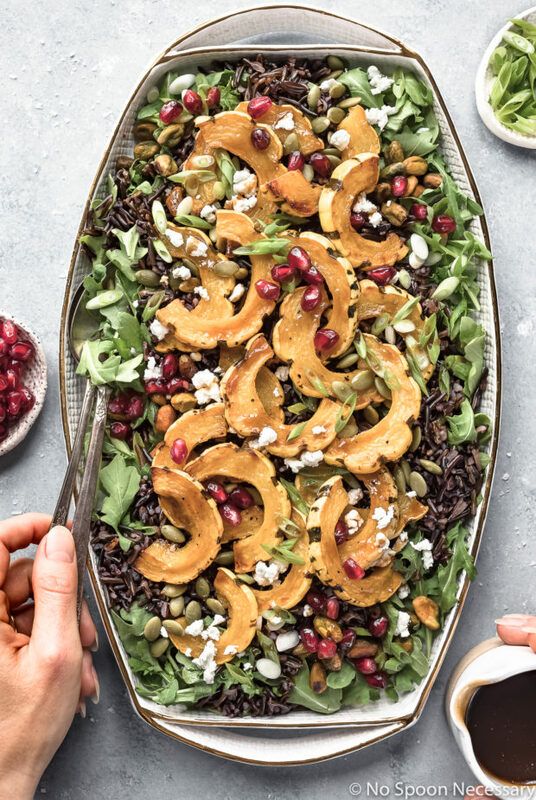 This squash wild rice salad is perfect for lunches or light dinners and would make a festive addition to your holiday table! Delicata squash, also known as sweet potato squash or Bohemian squash, is technically a summer squash, although it is classified as a variety of winter squash due to its harvest late in the year. This cream-colored, heirloom gourd has a characteristically delicate skin (or rind). Delicata squash has a rich, brown sugar flavor and can be consumed roasted (baked), sautéed, steamed, boiled or microwaved. Delicata squash is packed with nutrients, vitamins and has quite a few health benefits. Rich in nutrients and both vitamins B and C, this yellow and green stripped squash is an excellent source of energy and can help boost your immune system. As well, delicata squash contains lots of vitamin A and a high content of beta-carotene which is fantastic for improving vision. Delicata is also a great source of calcium, fiber and naturally gluten-free. Can you eat delicata squash skin? Yes, delicata squash skin is edible! Since delicata squash have a softer, thinner rind than other winter squashes, it does not need to be peeled before consuming. How to roast delicata squash? What temperature to roast delicata squash? 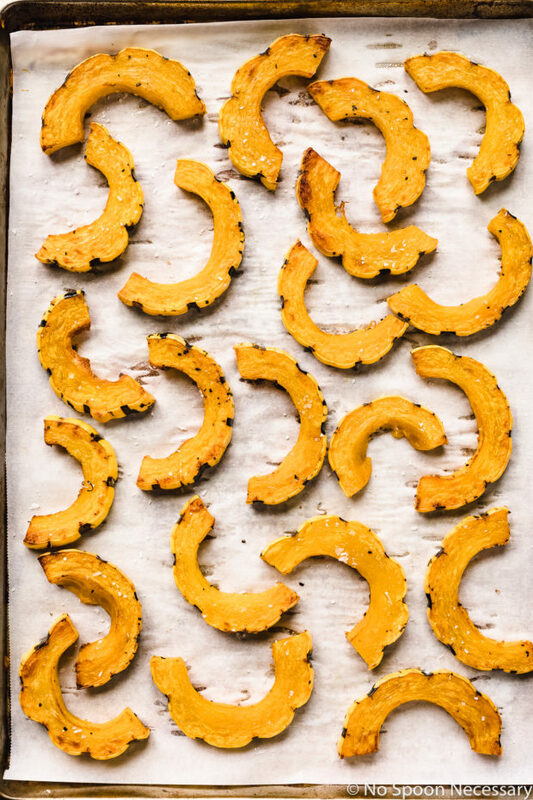 To roast delicata squash, first make sure you cut down the center of the squash, lengthwise, and scoop out the seeds. Then, proceed to cut the squash into thin, half-moon rounds (or slices). I like to cut mine into rounds about ½’’ inch thick, but just keep in mind the thinner you slice them, the faster they will cook. Finally, toss the squash slices with olive oil and season generously with salt and pepper. Roast delicata squash at 425 degrees F until the squash is tender and golden brown. 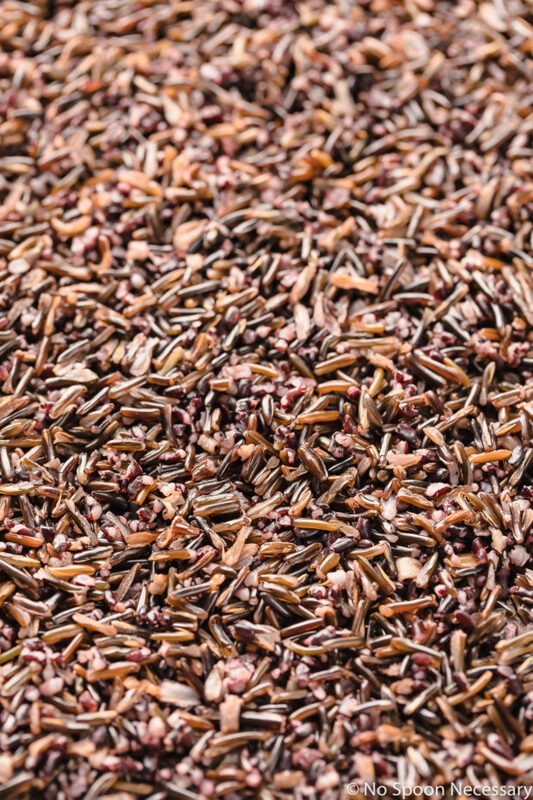 Wild rice is a grain, and despite its name, it’s not a true rice, but a seed of an aquatic grass. There are four different species of wild rice. One species is harvested as a vegetable while the remaining three are harvested as a grain. While wild rice is not a true rice at all, it does look and cook like other varieties of rice. What is the difference between wild rice and black rice? While wild rice is not a rice at all, black rice is a member of the rice family. Both wild rice and black rice have a chewy, nutty texture, but wild rice is a long black grain while black rice is a short grain. 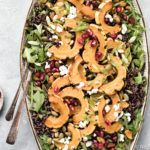 I used a combination of both wild and black rice in this delicata squash salad, but feel free to use just one or the other. I cut my delicata squash into half-moon rounds about ½’’ inch thick. You can cut yours thicker or thinner, however just keep in mind the thinner you slice them, the faster they will cook and vice-versa. You can simply use 1 rice instead of a combination of both wild and black rice, but just make sure to use 1 cup of rice total. 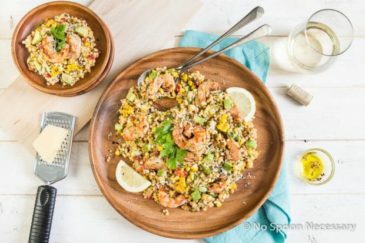 You can substitute any grain, such as bulgur or wheat berries, except for amaranth. Elements of this salad can be made in advance to save prep time the day of serving. To make ahead: Prepare the rice, roast the squash and make the dressing. Store each separately in airtight containers in the refrigerator. The day of, assemble the salad but do not toss with dressing. Toss with dressing right before serving. 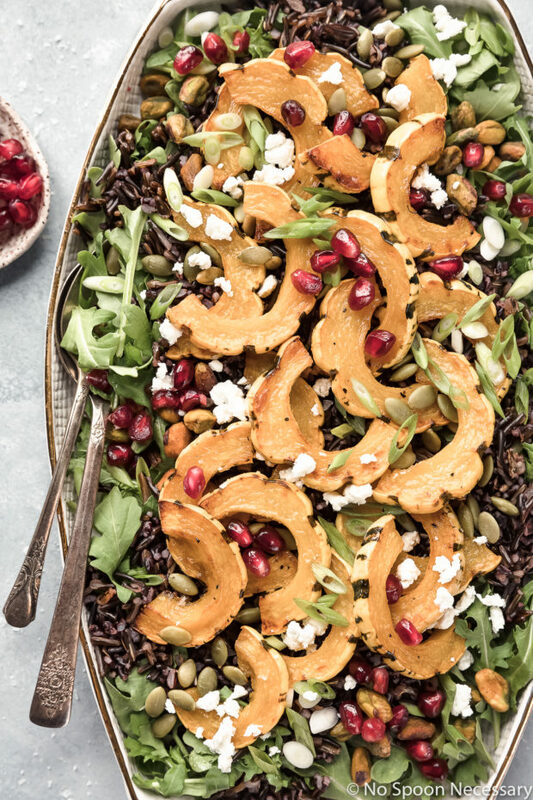 This delicata squash wild rice salad is truly a celebration of flavors! Satisfying as meal or perfect as a substantial side, this salad is sure to impress! Until next week, friends, cheers – to sensational salads! 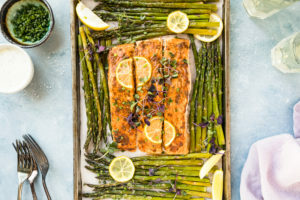 Preheat oven to 425 degrees F. Line a sheet pan with parchment paper for easy clean up. Set aside. Cook rice: Fill a large pot with water and bring to a boil. Season water generously with salt. Add both types of rice and lower heat to a gentle simmer. Cover and cook until the rice is tender but not super soft, about 35-40 minutes. Drain rice thoroughly, shaking off as much water as possible. Transfer drained rice to a large rimmed baking sheet to continue to dry and cool. 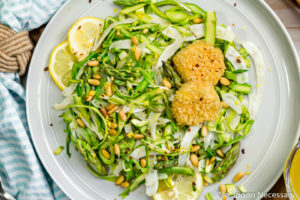 Make the dressing: In a small bowl, whisk together all the dressing ingredients with ½ teaspoon kosher salt and ¼ teaspoon ground black pepper. Taste and adjust for seasoning with salt and pepper, and for sweetness with honey. To serve: In a large serving bowl, combine the cooled squash, arugula, pomegranate and green onions with some of the seeds, nuts and goat cheese. Toss with half of the dressing. Add the remaining seeds, nuts and goat cheese and drizzle with remaining dressing. Serve immediately. Enjoy! *Salad can serve 4-6 depending on serving size. Nutritional information is based on 4 servings and includes the dressing. Delicata squash is my favorite and I can’t get enough wild rice this time of year! This is a dish I want to eat every single day! I love this salad, Cheyanne – just perfect for Thanksgiving. It’s full of great flavor and texture and so pretty. Delicata squash is one of my favorite winter squashes since it’s so easy to slice up. Pinning to share! 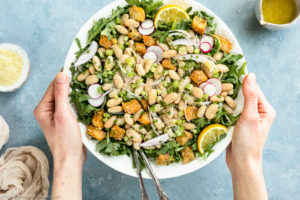 I’m always on the hunt for new recipes for our Thanksgiving table and this salad is PERFECT! Delicata squash is our absolute favorite squash and you’ve prepared it beautifully! Beautiful salad, and full of nutritious ingredients! 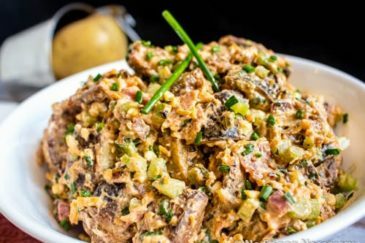 Great recipe to substitute for traditional Thanksgiving dishes! I cannot believe it is already November. I’m so far behind in life LOL. Anyways, I have never heard of this squash before and now feel the need to hunt it down. I love making wild rice – it’s got such a wonderful texture. This is the ultimate fall salad! Although we celebrated Canadian Thanksgiving a month ago, let me answer your question, please. We don’t have certain traditions. There are certainly things we tend to have every year (e.x. sweet potatoes, brussels sprouts, etc), but the recipes may vary. 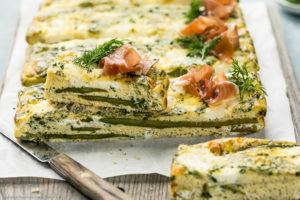 And your new creation is something that can easily be the star of any festive menu, particularly Thanksgiving and perhaps even Christmas. 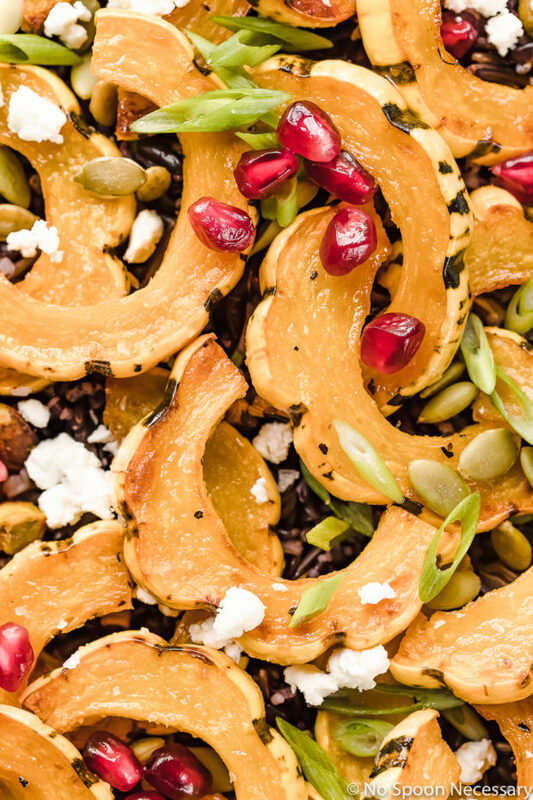 Squash, pistachios, pomegranate, goat cheese…Divine! Such a GORGEOUS holiday salad Chey! 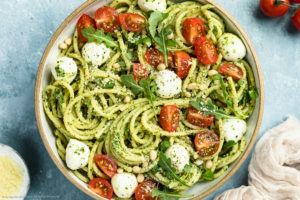 Love all the flavors and textures you’ve got going on in this one! And I’m always looking for new recipes with wild rice. My fave! I’ll be trying! What a marvelous harvest salad! The wild rice is so good for us. I mostly stick to traditional Thanksgiving food because my family doesn’t like it when I get creative on holidays–but I usually throw in a few “new” things too :). 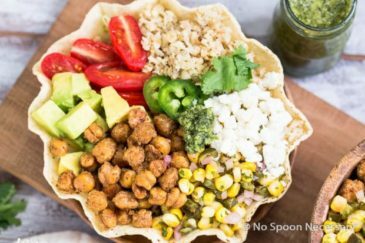 I have to try this salad because I love every.single.thing in it. I can taste that roasted squash already!